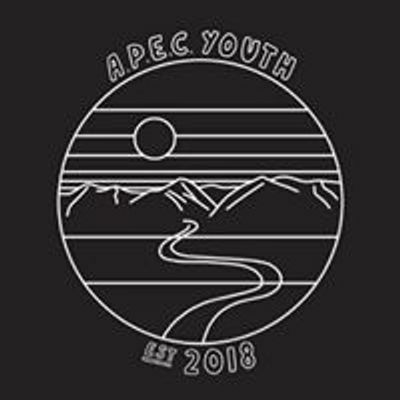 Get a team together! 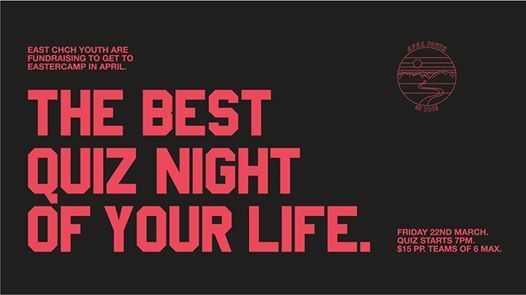 Mates, neighbours, colleagues, your mum and have some fun at our Quiz night! There will be prizes, entertainment, drinks, snacks, and platters! Can't find any team mates? No problem, still come along and we will find some team mates for you! New friends! Win! Quiz starts at 7pm! Doors open from 6:30pm. Make sure you bring cash on the night for delicious food, drinks, raffle and more! 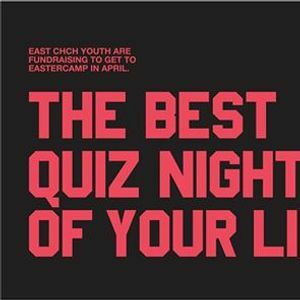 East Chch Youth are fundraising to get to Eastercamp in April!